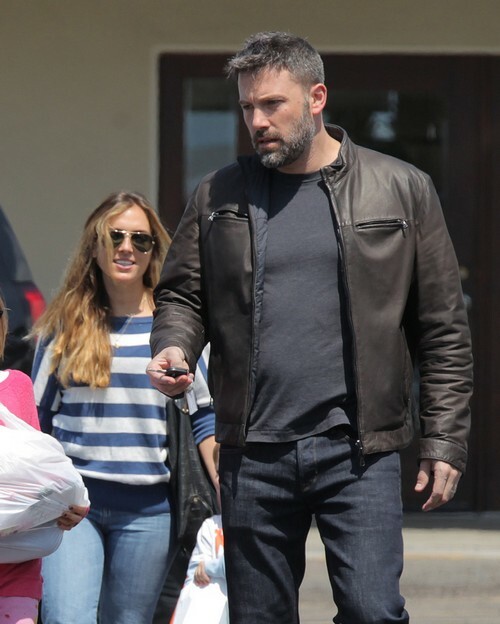 In case you were still skeptical that Ben Affleck cheated on his wife Jennifer Garner with their nanny Christine Ouzounian – bombshell photo evidence has been uncovered that will blow your theories that Ben is being set up by the nanny out of the water. When rumors hit the Internet revealing that Ben had an affair with Christine Ouzounian, his rep vehemently denied them and fans were certain that the nanny was just a fame-hungry gold-digger setting Ben Affleck up so she could extort money from him. We can’t prove that she isn’t a fame-hungry gold-digger, but we can prove that Ben Affleck is lying – and he definitely had a some sort of relationship with Ouzounian. Page Six got their hands on some exclusive photos of Ben Affleck’s nanny Christine Ouzounian riding on a private jet to Las Vegas and posing with Tom Brady’s superbowl rings on her hand. According to Page Six, Ben and Christine skipped out on the family vacation to The Bahamas early, and jetted to Las Vegas for a poker tournament. En route to Sin City, they stopped and picked up Ben Affleck’s pal Tom Brady – who apparently let the nanny try on his four superbowl rings and snap pictures with them. At this point Ben Affleck would look like a fool if he kept denying the cheating with nanny rumors. If he wasn’t sleeping with his nanny, why did he take her with him to Las Vegas while his wife and kids were in the Bahamas? It has already been confirmed that Ben Affleck and Tom Brady were both in Las Vegas during the poker tournament on July 27, it will be interesting to see how Ben explains his way out of this one. Are you convinced now that Ben Affleck was having an affair with his nanny Christine Ouzounia? Is the photo of her with Tom Brady’s rings on a smoking gun? Or do you still think there is a chance that Ben is being set up? Let us know what you think in the comments below! Jennifer Garner and Ben Affleck Divorce Off: Jen Forgives Cheating With Nanny Christina Ouzounian – Back Together?